Seliora stared at Shi Feng with her almond-shaped eyes, her hands on her hips; she looked like an angry lioness. This scene dumbfounded Shi Feng; he did not know what to say in this situation. Before, Seliora simply reacted with cold indifference towards him, yet, now, she was so obedient? The Blazing Meteor was a weapon that only Seliora knew how to create, and it was also her most famous creation. It was a weapon that all Swordsman dreamt of having. In Shi Feng’s previous life, as long as one was a Swordsman, they would definitely have begged Seliora to create a Blazing Meteor for them. Many players were even willing to go bankrupt to obtain a Blazing Meteor. Shi Feng, who at, that time, had already become a Sword King, was no exception. He only managed to obtain one with much difficulty after a very long time. Although Shi Feng had already met his goal, he still toyed with Seliora by pretending hesitation. Immediately, Seliora started panicking. If she truly allowed that old b.a.s.t.a.r.d Praust obtain such a large Starfire Crystal, that old rat would come over to her place to show off and very often, at that. “You should know that I am the most amazing Master Forger in White River City. None of the items I forge are of ordinary quality. Moreover, I am in a very good mood right now, so I will even use a rare material from my exclusive collection to forge a Blazing Meteor suitable for you! If you don’t believe me, then come in and have a look!” Seliora hurriedly pulled Shi Feng into her smithy, letting Shi Feng witness the masterpieces she had created. After entering the house, one would immediately discover that the exterior and interior of the house were practically two entirely different worlds. Although the exterior of the house was broken-down and humble, the interior was both beautiful and magnificent. Fine weaponry and equipment were all showcased within crystal cabinets. Not a single one of these weapons or equipment were of ordinary quality. They were all masterpieces of Fine-Gold rank or above. These were all masterpieces because, when compared to items of the same rank and level, the Attributes of the weapons and equipment made by Seliora were far superior. “How is it? Do you see that dark-red-colored greatsword placed in the highest position? That’s an Epic Weapon that I personally made,” Seliora stuck out her chest, boasting. Indeed, it was as Seliora had said. Among all these weapons and equipment, the most amazing item was the Level 120 Epic Weapon. In terms of strength, it exceeded the Mavis’ Protection by leaps and bounds. It was Seliora’s greatest creation to date, and it was also the only Epic ranked item that she had ever made. The reason Seliora bore the t.i.tle of genius of the forging world was due to her accidentally creating this Epic Weapon. After all, it was nearly impossible for a forger to forge an Epic Weapon intentionally, as the success rate for even a Master Forger was abysmally low. Normally, only Grandmaster Forgers could achieve this feat. Unfortunately, Seliora was stuck at a bottleneck, and she would constantly be a step away from becoming a Grandmaster Forger. Hence, Seliora did not wish for anyone to disturb her as she stayed hidden in the Free Zone of White River City, continuously researching the art of forging. Seliora revealed a wide smile as she received the Starfire Crystal. Immediately, she ran towards her forging room, intending to create the Blazing Meteor straight away. “Master Seliora, please wait a moment,” Shi Feng hurriedly said. “What is it? Don’t tell me that you’re going back on your word?” Seliora’s eyebrows slightly wrinkled. She was extremely reluctant to part with the Starfire Crystal in her hands. “You misunderstand me, Master Seliora. I think that this item should be of some help to you?” Shi Feng took out a piece of Runic Steel that he received as a system reward. This item could increase the forging success rate, and at the same time, it had a chance to increase the forged item’s Attributes. “Alright, then. I still have an item that I can temporarily lend to you,” under Seliora’s eager gaze, Shi Feng could not help but smile bitterly. He then took out the Book of Forging. Suddenly, Seliora’s eyes widened as they locked onto the Book of Forging in Shi Feng’s hands. She was under immense shock, unable to speak a single word. “This is the Book of Forging personally penned by the Forging G.o.d! You… Why do you have this item? !” Seliora was incomparably shocked, and her voice trembled with excitement as she spoke. She could not help but immediately s.n.a.t.c.h the Book of Forging, delving in. “Master Seliora, I a.s.sume that you also know how precious this item is. I can loan it to you temporarily; so I hope you can use it properly and create a masterpiece,” Shi Feng held high expectations of the Blazing Meteor. So, naturally, he would not hold anything back in its creation. Moreover, NPCs could not steal items owned by players. Shi Feng was stunned. However, he recovered very quickly, revealing a bitter smile. Seliora needed a long time to forge a piece of equipment. Since Shi Feng had nothing better to do, he continued enhancing the luxury version of the White River City Guidebook. After all, he had an expansive amount of information on White River City. Although he had already made plans for its revelation, he couldn’t explain everything in a few sentences. Time flowed by unnoticed, and two hours had pa.s.sed since Shi Feng entered White River City. Meanwhile, the various Guilds in the White River City region were in full swing. They continuously purchased and exchanged Whetstones, and at the same time, desperately grinded in high-level monster areas. “Snow, the number of players here grows larger and larger, and it is slowing our leveling speed by a lot. Why don’t we go to the Gloomy Valley to level up?” With a single Triple Flame Barrage, Zhao Yueru finished off a low HP Level 10 Shadow Werewolf. She then turned to Gentle Snow and spoke. Originally, there had not been that many players in this Level 10 area. However, due to Shi Feng’s actions, Level 8 and Level 9 players began arriving, crowding the area. Every region had limited leveling resources, and every extra player in a region decreased the availability of those resources. With a decrease in resources, naturally, leveling speed would similarly fall. Thus, Zhao Yueru suggested going to the Gloomy Valley, which was a monster area of an even higher level. The Gloomy Valley was a Level 11 to Level 14 monster area. With their current equipment, they could still deal with Level 11 and Level 12 monsters. Only, the danger would increase significantly. However, their leveling speed there would surpa.s.s that of this place by leaps. The Gloomy Valley was also only a short distance from their current location. If they hurried, they could reach it in just half an hour. If they used a Speed Scroll, they could arrive there in ten minutes or so. Gentle Snow looked at her surroundings, discovering that the number of players had certainly increased. Moreover, these players were all elites of various large Guilds. Whether luring or s.n.a.t.c.hing monsters, they were all extremely experienced. As a result, the number of monsters available decreased, and their current leveling speed was less than half of what they started with. The players gathered here were still increasing in number. If this situation continued, they might not even reach Level 10 within seven to eight hours grinding here. “Alright, then. After we receive the new batch of Whetstones, we’ll head for the Gloomy Valley,” Gentle Snow looked at her weapon’s durability as she spoke. Only 9 points remained. As her weapon was Secret-Silver rank, she could still wield it for over an hour before its durability reached a critical point. At this moment, Gentle Snow’s communicator rang out. Originally, Gentle Snow intended to reject the call without giving it much thought. However, when she saw that the caller was Shi Feng, a faint smile appeared on her face. 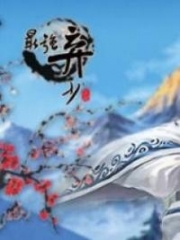 Previously, after Shi Feng entered White River City, she had tried contacting Shi Feng as well. However, Shi Feng had immediately shut down all forms of communication, leaving her with no way of contacting him. She could only send him a message. Now that he was personally contacting her, it was possible that he had finally seen her message. 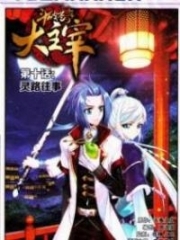 You're Read Reincarnation Of The Strongest Sword God Chapter 177 - Seliora's Shock online at NovelOnlineFull.com. You can use the follow function to bookmark your favorite novel ( Only for registered users ). If you find any errors ( can't read,broken links, can't load photos, etc.. ), Please let us know so we can fix it as soon as possible. And when you start a conversation or debate about a certain topic with other people, please do not offend them just because you don't like their opinions. You're reading Reincarnation Of The Strongest Sword God. This manga has been translated by Updating. Author(s): Lucky Cat. Already has 6259 views. Current Time is 20-Apr-2019 12:18:02 PM.